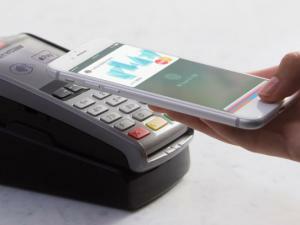 Taiwan Chief Banking Regulator Reveals Apple Pay Card Adds; Samsung Launches Early Access in Country | NFC Times – Near Field Communication and all contactless technology. Apple Pay got off to a fast start in Taiwan, the country's chief banking regulator revealed. Exclusive: Taiwanese Banks to Pay Apple Cut of Transaction Fees on Par with U.S.
NFC TIMES Exclusive Insight – The chairman of Taiwan’s banking regulator, the Financial Supervisory Commission, Wednesday revealed just how fast a start Apple Pay got on the island nation, following its launch of the mobile payments service there in late March. It was a rare disclosure of the number of cards consumers had loaded into Apple’s Wallet following the launch of Apple Pay. Apple almost never reveals information on user or card numbers or transaction data for Apple Pay. Ruey-Tsang Lee, Taiwan’s chief regulator, reportedly told Taiwanese legislators during a committee hearing that customers of seven Taiwanese banks added nearly 700,000 cards for Apple Pay during the first nine days following the launch of the payments service March 29th. And he said that over the first two days, users added more than 400,000 cards. Article has about 790 words.